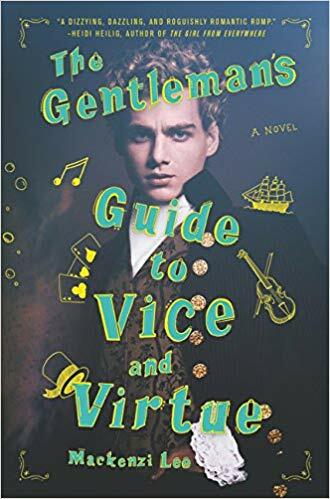 The Gentleman’s Guide to Vice and Virtue by Mackenzi Lee, has been on my shelf for about a year. I bought it on a whim at a local bookstore because I had been hearing a lot of buzz about it. I had also recently listened to and enjoyed My Lady Jane by Cynthia Hand. The covers and descriptions of both books looked similar so I thought I’d give it a try. The Gentleman’s Guide is the story of the Montague siblings, Monty and Felicity, and friend Percy. The trio is sent off on a “Grand Tour” of Europe in order to become cultured (aka sow their wild oats) before returning home to life as adults with real responsibilities. (On a side note, these “Grand Tours” were really a thing back in the day.) Along the way, they encounter dangerous highwaymen, pseudo pirates, dastardly nobles, a sinking island, and a puzzle box that may hold the cure to all human ailments. There is also quite a bit of party crashing, steamy romance, and other scandalous affairs. This book was adorable, the characters lovable, and the plot engaging. My only qualm was that the central mission of the story didn’t quite make sense to me. It was a little too fantastical without enough fleshing out or explanation. Otherwise, this was a fun read! Or, see Book Riot’s suggestions here. It’s a bit ironic (and not in a good way) that I am writing about this next book in the same blog post as the first. However, I committed to completing the challenge prompts in order and that’s what I intend to do. Following the Parkland High School massacre, students banded together in what I would argue is the largest student-led social and political movement of our generation. Since then, The #NeverAgain movement has grown exponentially and impacted the lives of so many students, their families, and the public at large. Because of this, I knew I needed to read We Say #NeverAgain: Reporting by the Parkland Student Journalists as soon as I got word of it’s publication. 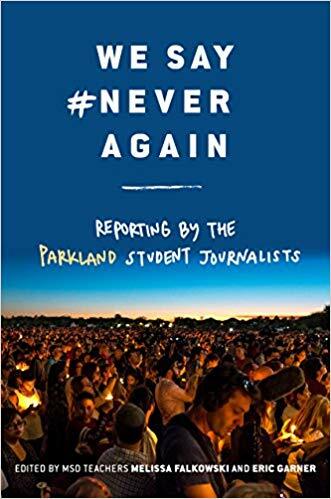 This book is a collection of reports from the Parkland High School newspaper and TV station staff. The majority of the articles are written by teens who were there at the time of the shootings. The writing gives an inside perspective of the tragic event and the days following. In it are details of how the movement began as well as the students’ response to becoming overnight activists. The book hit shelves less than nine months after the shootings. That is an impressive feat in and of itself. Consequently, it is not perfect; however, it is extremely important. I think it is a must read for teens and their parents, especially those who consider themselves activists or who maybe are just beginning to feel the itch of unrest. Visit Book Riot’s suggestions here.